Cape Wrath, Scotland, November 1847 Bruce McGunn is a man as brutal and unforgiving as his land in the far north of Scotland. Discharged from the army –where he was known as the ‘Claymore Devil’–haunted by the spectres of his fallen comrades, and convinced he is going mad, he is running out of time to save his estate from the machinations of Cameron McRae, the descendant of the McGunns’ ancestral enemies. When the clipper carrying McRae’s new bride is caught in a violent storm and docks at Wrath harbour, Bruce decides to revert to the old ways and hold the clipper and the woman to ransom. However, far from the spoilt heiress he expected, Rose is genuine, funny and vulnerable –a ray of sunshine in the long, harsh winter that has become his life. But Rose is determined to escape Wrath and its proud master –the man she calls ‘McGlum’. This is the third story from the Saintclair family, I have thoroughly enjoyed getting to know this charming family through Angel Heart then The Lion’s Embrace and finally this one, this time we focus on Rose Saintclair’s story, which is just as romantic and intriguing as the previous. This one is filled with ghostly appearances, tortured minds and a murderer on the loose, plus a psychological game of cat and mouse between Rose and Bruce. Rose having secretly married Scotsman Cameron McRae she is sailing from her homeland in Algiers to Cameron’s Highland home, to announce their marriage and to meet her new family. After being caught in a storm her ship is forced to pull into a cove in Cape Wrath; the ancestral home of the Laird; Bruce McGunn! Rose having only heard what her husband has told her does not wish to spend any time at all in Wrath, she would happily keep going to her new home especially once she sees the castle at Wrath and all she can think is that she has landed in hell. The minute her and the extraordinarily large Scotsman meet there is fireworks, it is like a battle of wills between them and she is adamant that she is not staying. 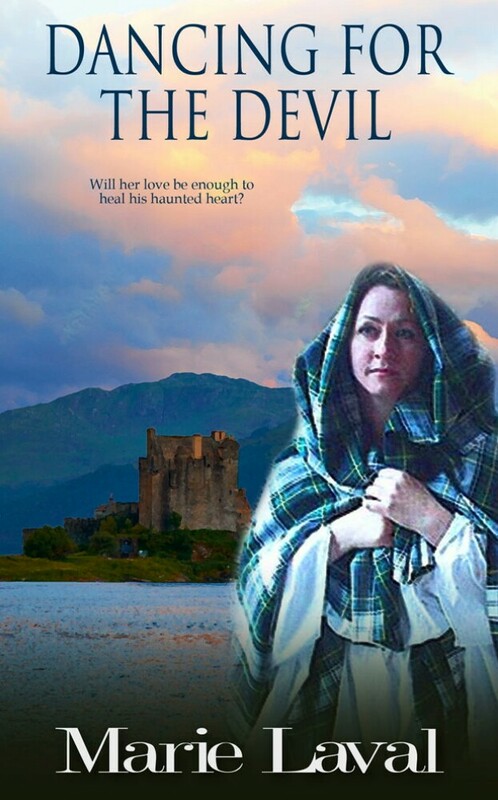 But her attraction to him has other idea’s…as well as the Laird himself. Never had a man deserved his nickname more than Lord McGunn, and even though she’d never seen him fight, she sensed that his nickname of ‘Claymore Devil ’ suited him like a glove. Since returning from the war in India after being discharged from the army in somewhat questionable circumstances, Bruce is now trying to save his estate from bailiffs and collectors all working on the behalf of his families, enemy, one Cameron McRae. The McRae’s and the McGunn’s have been at logger heads for as long as anyone can remember, which all came about with one McGunn seducing the wife of a McRae and since then the two-powerful clans have been mortal enemies. Bruce is determined that the manipulative and ruthless McRae will never get his hands-on Wrath, so on hearing that McRae’s ship has pulled up in his cove and that on ship is one of McRea’s women. Bruce decides to take the spoilt little madam captive and hold her for ransom, so he can finally get the threat from his home lifted off his wide shoulders. All goes according to plan, that is until he meets Rose! She isn’t what he was expecting her to be, he had immediately thought of a posh, spoilt and ninny brained young woman who he could easily subdue, how wrong he is. Rose is the complete opposite, she is feisty, argumentative and as stubborn and as unrelenting as Bruce himself. She fight’s him and his authority tooth and nail at every turn, even when she is helping him in his hour of need she does it her way. Their love/hate relationship is stirring stuff and there is times when you think that they are too different and there is a moment when you wonder if this is it for them, if he has pushed her away for good. I absolutely love their interactions’ between each other especially when they are arguing and both of their stubborn and argumentative personalities comes to the surface, like when they first meet on the beach and he tells her in no uncertain terms that she is going with him and of she doesn’t like it he threatens to throw her over his shoulder and carry her – which he actually does later on in the book – but she gives just as good shouting and swearing at him calling him a stinking old macaque. ‘Here. Please don’t cry,’ he said in a hoarse voice. She nestled closer, and it felt like she was melting, warm and pliant in his arms. Heat shot throughout his body and suddenly he didn’t want to comfort her at all, but kiss those lips and breathe in her sweet female scent until he was drunk..
Once Rose is settled in his castle at Wrath thing’s take a very unexpected turn for both of them, in the first few days of her stay there Rose is woken by a mysterious woman in black who is talking French to her, telling her that he needs help that they are coming for him and only Rose can help, she has no idea what the lady is talking about and after following the lady on both occasions she is led to Bruce, who first she finds him having a nightmare where he is back on the battlefield with his men and the second time he is standing on the edge of a cliff saying that they are coming for him. Rose has no idea who Bruce is talking about or even who the woman in black is, but she knows something is going on in the castle, every time she mention’s the woman she is told point blank that she must have been imagining things. So, Rose not only has to manage being held captive by the brutish, sinfully handsome Bruce – or as she likes to call him McGlum. She has a strange woman in black waking her in the middle of the night, plus there something funny going on in the village when two young women turn up brutally murdered. It’s all go and right in the middle of all this is our hero and heroine battling each other in every way that you can imagine. These two are a match made in fiery heaven and hell, the chemistry between harsh and tormented Bruce and exotic and feisty Rose is sizzling, it’s a real love hate relationship at times, yet they share so much, they share so many of the same characteristic’s, they are both loyal, kind and both in dire need to love. Rose is just as complex and thought provoking as Bruce, who is a fantastic character. He is a true star, he completely believes that he is going mad and that he is being haunted by his dead comrades, but the truth is far more shocking then that. ‘I did warn you this afternoon that I’d toss you over my shoulder, and that’s exactly what I’m going to do now if you don’t come with me.’ ‘Never!’ ‘Then you leave me no choice.’ He lifted her up and flung her over his shoulder..
As ever Laval intrigues with her thought provoking and romantic writing, the story is just seamless, it draws you into the mysterious, dark and dangerous lives of our character’s. I loved the previous two books, but I think that this one is my absolute favourite, the story is thrilling and romantic it keeps you guessing as to what is going to happen. This has everything that we have come to expect from Ms Laval, fabulous storyline, amazing complex and adorable characters and I cannot recommend this and her work enough. Definitely a must read for any who loves historical romance with a thrilling and mysterious twist. Dancing with the Devil can be purchased from Amazon. 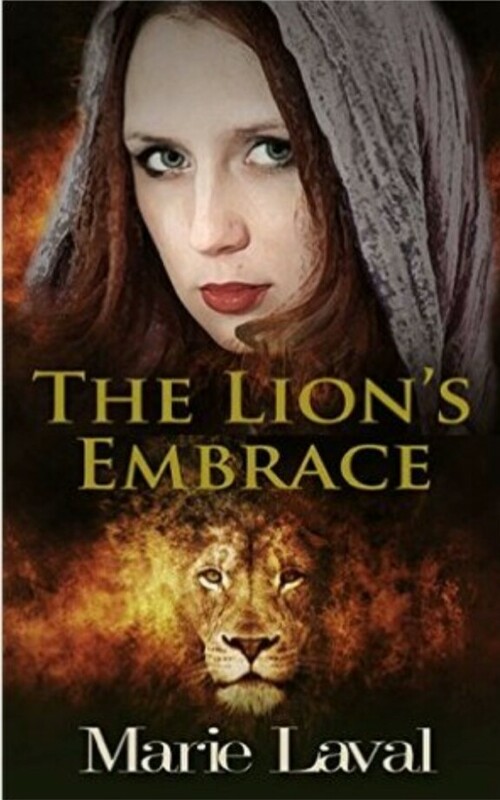 This entry was posted in Accent Press, Complimentary copy, Historical Romance, Reviews and tagged Accent Press, Complimentary copy, Historical Romance, Marie Lavel, Review.